Aquariums can provide years of enjoyment and they are perfectly suited for the entire family. Still, there are times when the installation process can be slightly challenging. Let’s break down each step in detail so you will know what to expect. This is arguably the most important phase, as it will determine the outcome of the additional tasks. First, choose a suitable location that is not located near any drafts and it out of the way of foot traffic. Examine the dimensions of the tank; different species of aquatic life will require different sizes to accommodate their needs. Next, add the substrate. Keep in mind that this will partially depend upon the fish. For instance, catfish are healthier with a sandy base while some species are better suited for gravel. Speak with a professional to learn more. 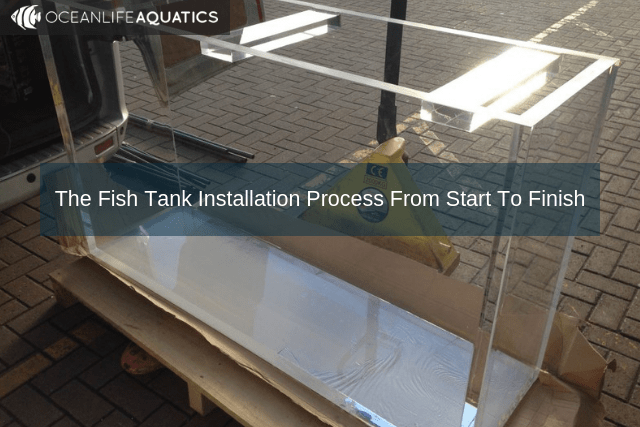 Once the substrate has been completed, you can next add the water. While distilled freshwater is rather straightforward, the addition of saltwater will normally require that it is purified first through a process known as reverse osmosis. You should also make sure that the pH levels are balanced. Aquarium filters (there are several configurations). Aeration devices such as bubbling mechanisms. Please note that saltwater tanks may require additional accessories such as protein skimmers. Your local aquarium installer should be able to point you in the right direction. Assuming that the other steps have been successfully completed, it is finally time to provide your fish and plants with a home. This is when a bit of freedom comes into play. You can choose a great deal of plants if you are looking to achieve a more tropical look while sparse substrates will provide you with better views of the organisms found within. Installing a fish tank will normally not take a great deal of time and the good news is that this checklist will help you along the way. If you run into any problems or should you have additional questions, it is always wise to speak with a representative at Ocean Life Aquatics.